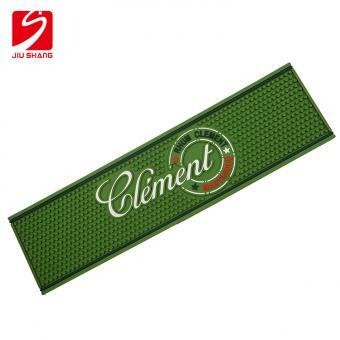 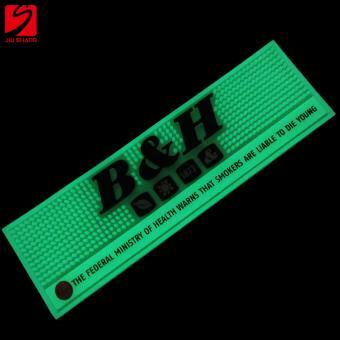 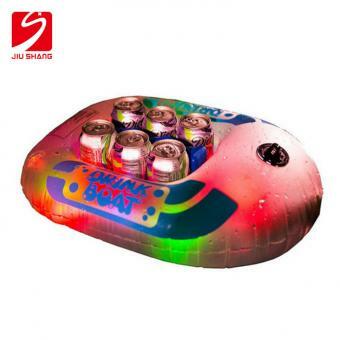 Green Durable PVC Beer Drip Bar Mat is made of customized rectangle dimples and logo as brand advertising requirement. 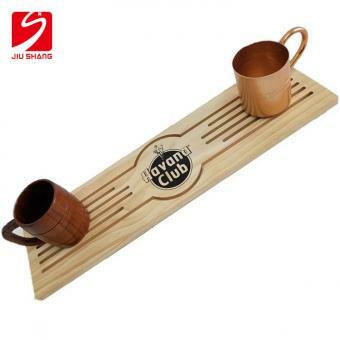 Durable Soft PVC Beer Drip Mat For Barware feature a durable thick rubber material that will withstand fast paced bar service. 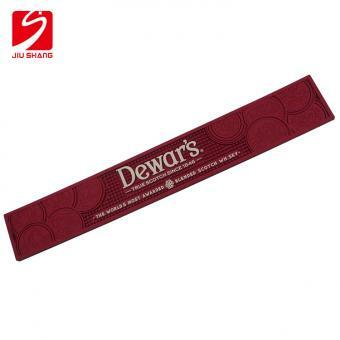 The rubber pegs securely grip your glasses, preventing spilling, sliding and ultimately breaking. 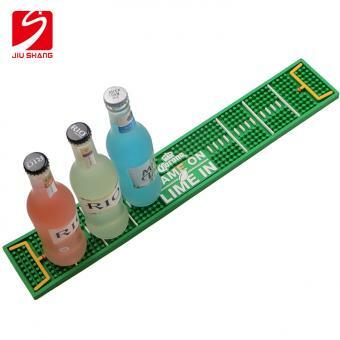 Long OEM Logo PVC Rail Bar Runner will help to keep the liquid off of your bar surfaces during preparation, where spills and splatters commonly happen. 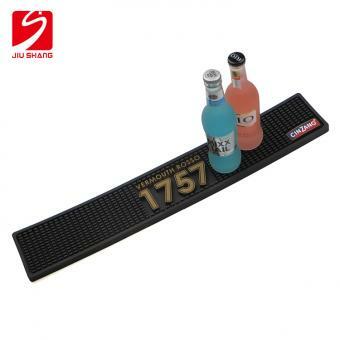 The rubber peg-like design of these pvc bar mats will capture the spilled liquid and keep it safe off of your bar surface. 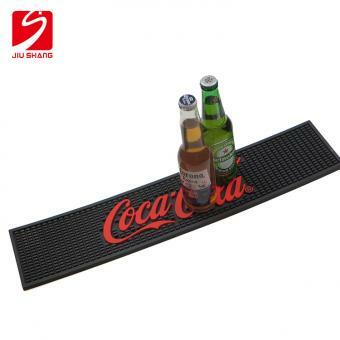 3D Custom Logo PVC Beer Bar Runner keep your bar area and bar rail protected by spills and organized with PVC rubber bar mat. 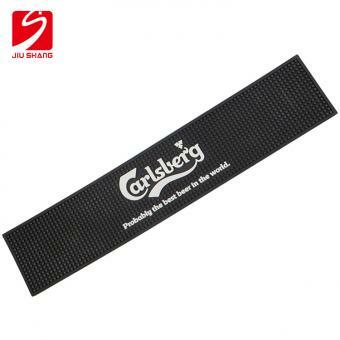 Dimpled Rubber Rail Mat with 3D Logo with non slip design helps prevent slide and damage for glasses. 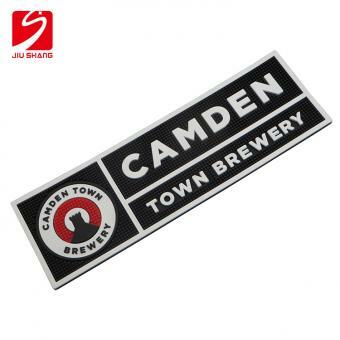 Promotion 3D Embossing Logo PVC Drip Runner is a practical bar tools for wine brand advertisement. 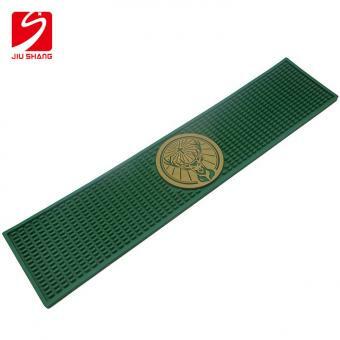 PVC Rubber Spill Mat can also be used as drying place for home use. 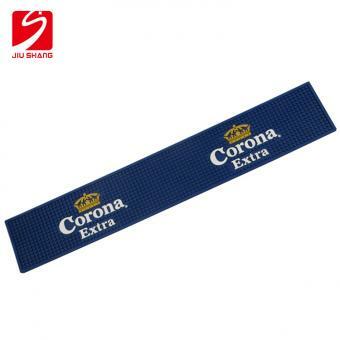 High Absorbency Spill Mat with Brand Logo is used in Bars to prevent spillage. 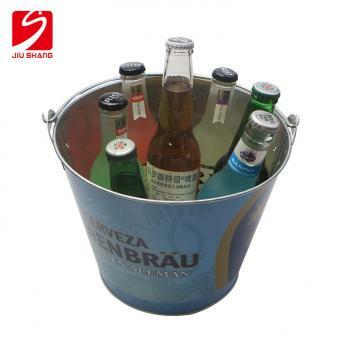 Different sizes and shapes available as per customer’s Demand. 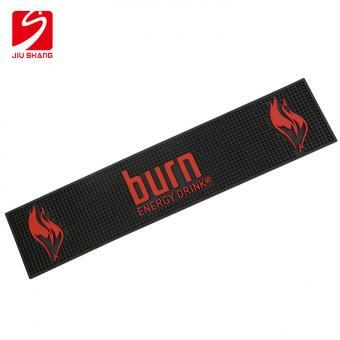 Customized Standard Size Rubber PVC Service Mat is made of PVC rubber, which is flexible and malleable. 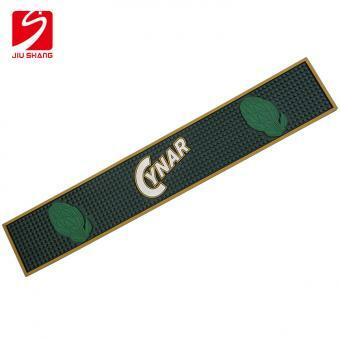 PVC spill rubber mat is used for placing glasses, cocktail bar tools, and dishware. 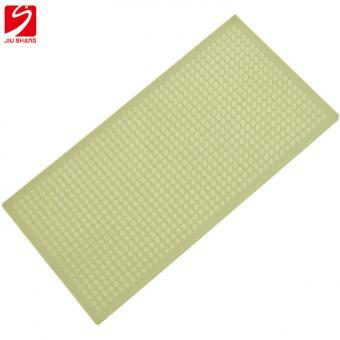 Sedex Factory OEM Branded PVC Bar Mat can collect spill liquid between rubber prongs. 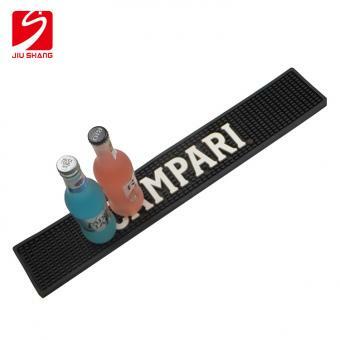 PVC rubber rail mat is flexible and will grip onto bar counter surface without move around. 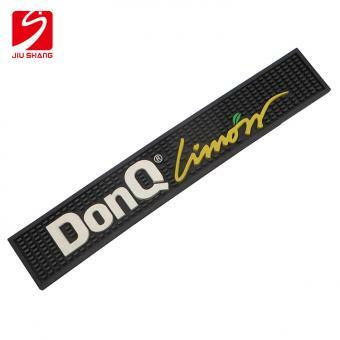 PVC Bar Runner with Customized Brand Dimples is excellent in waterproof and heat-resistant features. 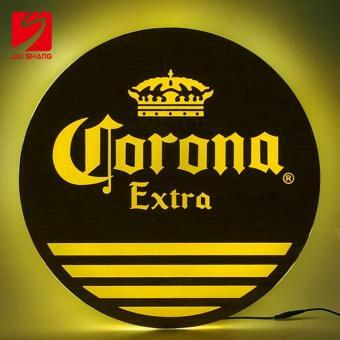 OEM/ODM orders are welcomed. 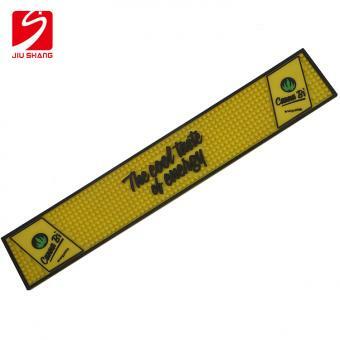 Brand Logo Customized Size Soft PVC Bar Mat with embossed logo printed can be made of any PMS color as customers' demand. 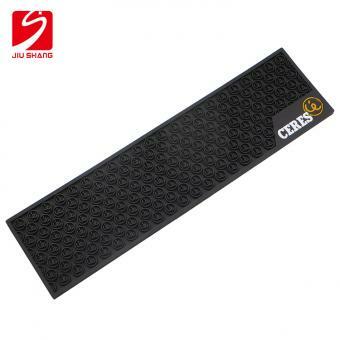 Anti-Slip Rubber Bar Runner for Promotion is made of high quality eco-friendly soft PVC injection, can be made of different sizes and shapes as per customer’s Demand.